Archie Pitcher, one of adland's most respected elder statesmen and former Ogilvy & Mather president whose career spanned more than half a century, has died aged 88. 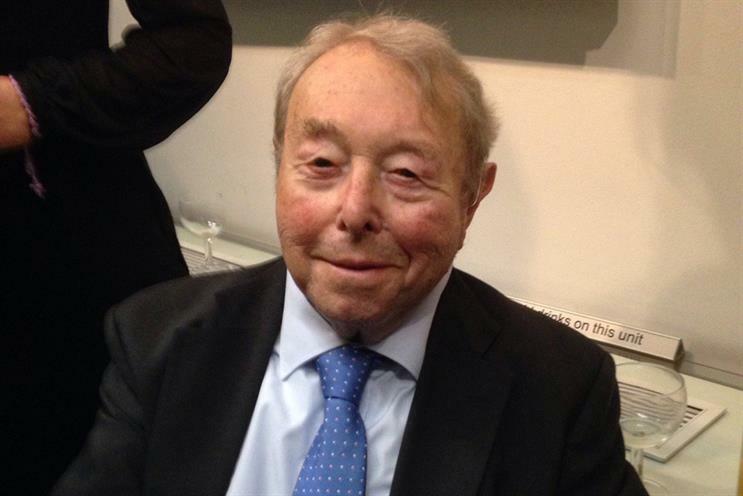 Pitcher's family said he died peacefully in Chelsea and Westminster Hospital yesterday (9 February). His passing sparked a host of tributes to a man who attracted enormous affection across an industry in which he worked for 54 years. "Nobody ever had a bad word to say about Archie," Annette King, the UK Ogilvy & Mather group chief executive said. "He was a classic, a gentleman of the old school." Pitcher’s involvement with the industry extended well beyond O&M where he is remembered as the leader of the team that successfully pitched for the Ford of Britain account in the early 70s – a piece of business the agency still handles. He also enjoyed a long association with the International Advertising Association, having served as its world president and, subsequently, the executive director of its UK chapter for 11 years. He played a key role in organising the IAA’s world congress in London in 2000. Pitcher also enjoyed a long association with the History of Advertising Trust, having served as its treasurer from 1982 to 2013 when he was appointed vice-president emeritus. He was a recipient of the Mackintosh Medal, the Advertising Association’s highest honour, awarded for "outstanding personal and public service to advertising" and was awarded a CBE in 1986 for his work with the CAM Foundation. Pitcher entered advertising in 1948 after service with the RAF in the Far East and joined the then Mather & Crowther in 1953 as a traffic controller, the day after he got married at St Bride’s Church in Fleet Street. "The business was constrained by rationing," he later recalled. "Production was still largely under government control, there was a newsprint shortage and agencies were lucky to get a four-inch double column space." He was hired by Francis Ogilvy, the agency’s managing director and David Ogilvy’s elder brother. Some years later Pitcher was to work with David on the Schweppes account. As a board account director he led the teams on the National Dairy Council’s "Drinka Pinta Milka Day advertising as well as the UK Tea Council’s "Join the tea set" and the COI’s Green Cross Man road safety campaign. Before retiring as the O&M president in 1988, Pitcher built a reputation for never taking himself too seriously. At one staff Christmas party he had himself lowered from the ceiling dressed as a fairy. At another, he lived up to his "Tubby" nickname by going on stage to join in with a Roly-Poly style dance troupe. "Archie was such a bundle of fun," Angus Grieve, one of his account directors at O&M and who later succeeded him as the IAA’s UK executive director, said. Pitcher was "truly one of the greats of the ad business," said Graham Hinton, HAT’s chairman. Hinton added: "He has always given himself heart and soul to whatever he has been involved in – whether at O&M, the IAA or HAT where we benefitted from his enthusiasm for protecting our heritage and inspiring young creative talent. Above all else, he will be remembered simply for being a lovely and charming man." Pitcher is survived by his son, two daughters and two granddaughters. A family funeral is likely to be followed by a memorial service at a later date.